‘televisionis horribilis’ – 2009 – “Don’t be fooled by the technology gurus and those who would build a better mousetrap each week thus disrupting the status quo of Television. We don’t always need a lot of what is offered but unfortunately, in this day and age, we believe that in Digital TV, technologically speaking, we need to offer such complex products even down to Twitter, Google and all that other Social Media access; and even Widgets…Deployments however are struggling to make sense of the business models and technology is leapfrogging technology before chosen deployments can take place”. I will highlight the issues, mock the troublemakers and generally comment on what the world of Digital TV is doing in the race to capture our money…because after all that is what it is all about – making money from the customers and increasing that well know acronym; ARPU. 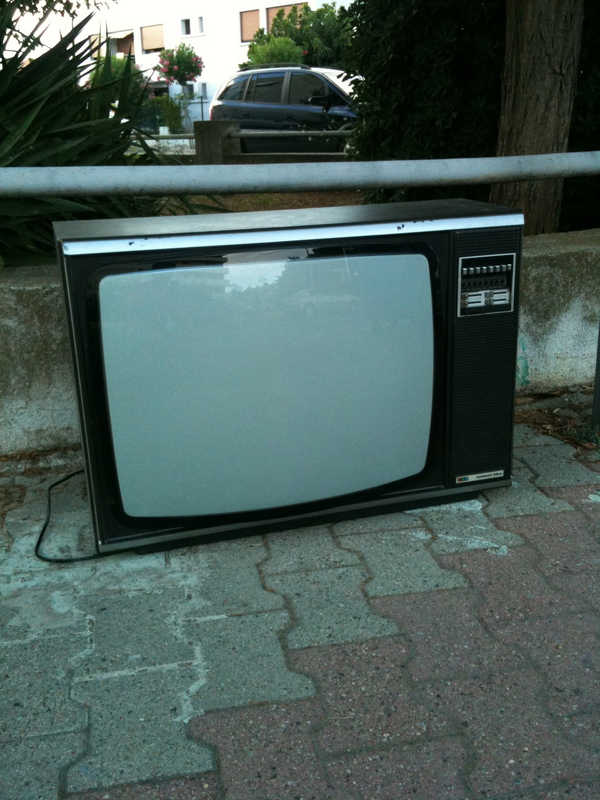 That aforementioned piece was written in 2009 when it was clear that fragmentation and disruptive technology had been identified as the future mess that was to befall Digital TV. I did highlight issues, I did mock certain pretenders to the throne but like all modern businesses there is a desire to keep rolling along regardless of whether things are indeed required or not. In fact, during this period, fragmentation was mainly about the plethora of different transmission, middleware, security, applications and a whole swathe of other technologies for TV. It is now 5 years on with fragmentation about the only word we now hear at conferences, seminars and during interviews with TV Tech personalities. Finally! Has the penny dropped? – Well it is not quite as simple as that. Yes we have a huge fragmentation problem but it is now multi-faceted. What we have now are both technology and business model fragmentation, all mainly due to the surge in larger bandwidth offerings, cheaper memory, more powerful chips and content available just about anywhere at all; even when you buy a Starbucks coffee. Fragmentation of technology is one thing and there is a lot of scrabbling about to have standards and common software principles in every sector both old and new (as there always has been)… but now the fragmentation at content level is wreaking havoc. Yes technology fragmentation (there I said it again!) has handed the market an additional problem which is the unravelling of the TV business into individual content providers, on a provider by provider, App by App basis with some of them offering unique content. The term ‘A La Carte’ has been bandied around for many years but it has finally unfolded with Netflix, HBO, Amazon, Google, and others trying to be the unique supplier of TV content to consumers. Not entirely a la carte but not bouquets and bundles as per the payTV providers either. This week, someone was heard announcing on a UI-UEX panel at Connections Europe, that consumers have been asking for ‘What They Want -When They Want – Where They Want’, and as a result of this need has seen them abandoning traditional payTV services to achieve that. Not all of the TV industry believes in that 10 year-old made-up mantra. The reality of ‘What I Want When I Want, Where I Want’ is quite different in different markets, especially outside of the USA where ‘Local Language, Broadcast Rights and Release Windows’ are a sport in themselves. At Connections Europe the Roku representative had the answer to our terrible TV fragmentation problem – ‘We have addressed the problem of fragmentation with Roku TV, an OTT device, which allows all content to run on a single platform’ – Dah! Dah! Well I was flabbergasted to say the least, sat there wondering if anyone at Roku has ever really been in the TV industry. Apple TV got there first, some years ago, dear Mr. Roku and failed to be able to solve the common platform for all content issue even with their world-wide deployments. We saw them naturally defaulting to local language, an inability to provide access to a wide range of content because of the very convoluted licensing issues that abound in a complex European marketplace. iTunes default by offering up mostly the Top Ten (most popular content) … and that dear friends is perhaps a sign of things to come for all the others now entering this market. We know that we can listen to music over and over and over again but Video Content, TV Shows, Movies etc. is a different proposition. It is in the main a single viewing experience. We want NEW and WE CANNOT WAIT and we even BINGE voraciously (well some tiny percentage do) and then we sit pensively awaiting the next show to be produced. In the meantime we have other Top Ten shows to consume and we are like sheep we all follow the masses from Walking Dead, Game of Thrones to House of Cards and Braking Bad as if there is nothing else interesting to watch. Well that is what we are led to believe by the protagonists of OTT TV who only mention these ‘hot’ shows during all discussions concerning the future of TV viewing. Gardeners World, Living Planet, The Simpsons, The 10 o’clock news never gets a mention! In the world of TV the channels are not helping themselves much – programming is becoming unusually boring in some sectors. On certain nights in France you can see 4 to 5 same genre shows transmitted one after the other on the same channel. The average viewing time in France is a mere 3.5Hrs/day/person. With 4 NCIS in a row you are already close to that … as is 4 episodes of Bones or 1 news, 1 quiz-show, 1 movie and perhaps another programme added to that line-up makes 4 hours easily reached. The film could come off a VOD catalogue or a PVR not from live broadcast. So little time for all that content but such a choice! My point is that the over-abundance of channels with thousands of hours of shows, films et al cannot be consumed. Tastes are so diverse that any ‘personal’ line-up will be diverse. We also believe that everyone KNOWS what they want to watch. However if they have not seen it how will they know what it is all about? Marketing works. TV advertises forthcoming shows on TV, Magazines also, Billboards too. So what will happen if it gets to the point that you pay ONLY for what you watch? Will we arrive at a situation whereupon we will have to re-hash the way the content is packaged – It will be impossible to please 100 million people each evening with their individual viewing packages and for a sufficient panorama of content to always satisfy all the tastes of all the people. TV programming is a little like running a restaurant with the need to stock up the kitchen ready to serve a public who choose meals randomly from a menu ; done so that you have some control of the purchasing of ingredients and delivery process ‘n’est ce pas’? Splitting everything up into individual suppliers will quite frankly only lead to a dog’s dinner of a situation for the consumer. We also all know that ‘A La Carte’ in a Restaurant is more expensive than a ‘Set Menu’. Imagine that you can only get a full meal by having to pay to go into each restaurant in order to have a satisfying array of limited choice. An entrance fee per restaurant – Fish from one, Meat from the other, Dessert elsewhere, Cheese in another, Wine from elsewhere. You would soon look for someone who could supply you a one-stop-shop location offering up a whole bunch of variety I would imagine. I know I would! It may be the younger generation who don’t watch TV like their parents or so we are told. There is constant scaremongering regarding cord-cutting and the millennials and their refusal to pay for content that they don’t watch; add to this the fact that they don’t want advertising either, begs the question – Who will fund content? Is the TV industry heading towards an era of ‘televisionis horribilis’. I found this very informative piece at Variety.com (reference below for full article) … A quick aside about a la carte. If the government forced networks and distributors to offer individually priced channels at retail — yes, that could lower the total cost of someone’s bill. But the cost per channel would skyrocket (ESPN could go up to $30 per month, according to one analyst estimate), and consumers would end up paying much more for far less. A broad shift to a la carte would spell doom for many networks.